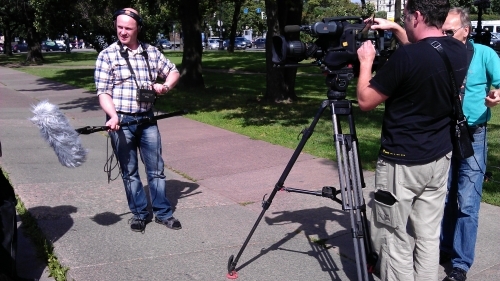 Outdoor interviews for Ancient Aliens - New Episodes. 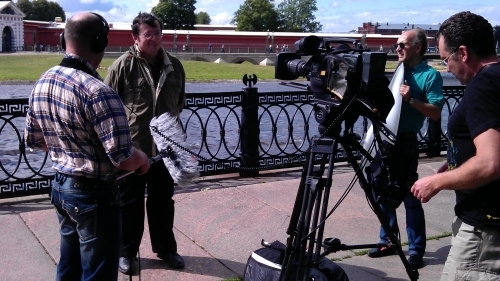 The client wanted the interviews to be shot outside in three different set ups with an iconic Russian building in the background. This was a challenging task for Oleg Koneff. There's not much you can do about city noise. 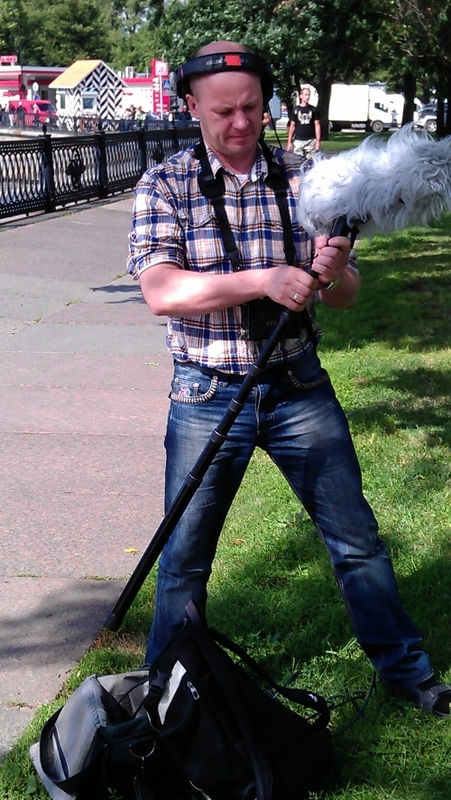 Oleg was reducing the noise with a special filter set up on the boom microphone. Oleg worked on a wide range of projects from feature films, commercials to dramas and documentaries. He is experience in synchronising sound recording with various cameras including ranging from RedOne, Arri Alexa, Cannon 5D / 7D to SonyF900. Oleg holds a master degree of St. Petersburg State University of Cinema and Television Specialising in Audio for cinema and television broadcasting. He has an extensive experience in the production of television programs, news, documentaries, corporate/industrial videos, commercials, PSAs, educational programs and short features.